For some, the rows of people lining the edge of Centennial Plaza on Wednesday were just that — faces in a crowd. But the scene had greater meaning: Many of those standing were dressed in uniform and wore badges. They represented the “thin blue line” between order and chaos, it was said during the annual Western Colorado Law Enforcement Officers Memorial. Many in attendance had their stories about why the event honoring area fallen law enforcement officers resonates with them. 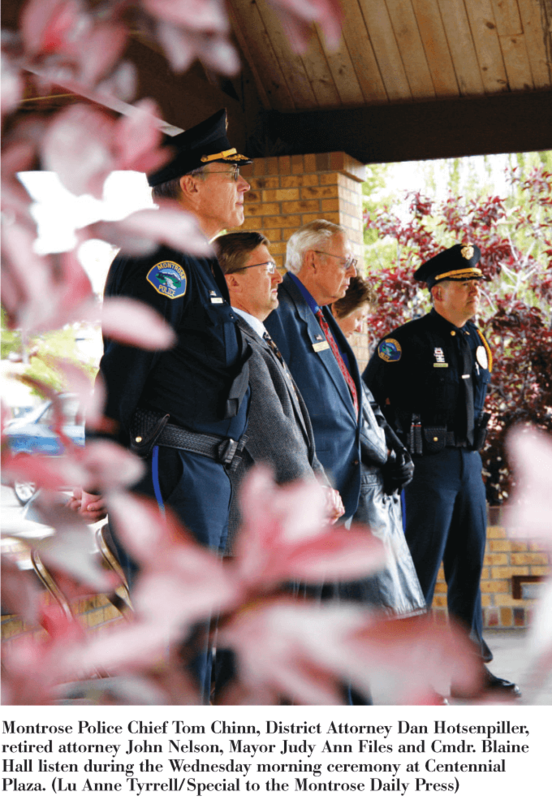 “Respect for law enforcement, more than anything else,” brought resident Frank Mesaric out on the uncharacteristically chilly May day. “We have probably the best law enforcement agencies in the world,” Mesaric said, referring to agencies within Montrose, Delta and Mesa counties. District Attorney Dan Hotsenpiller drew on military history in challenging attendees to consider what the community at large owes to officers who risk their lives daily. 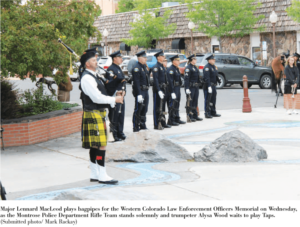 Mesa County Deputy Derek Geer (2016); Montrose Police Sgt. 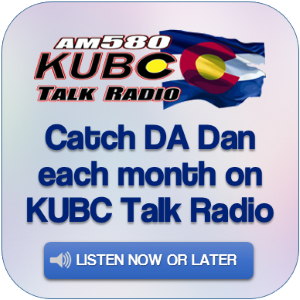 David Kinterknecht (2009); Colorado State Patrol Trooper Jason Manspeaker (2001); Cortez Police Officer Dale Claxton (1998); Hinsdale County Sheriff Roger Coursey (1994); Montrose Police Reserve Officer Larry McMaster (1983); Delta Police Officer Steve Hensley (1973); Paonia Marshal John Stitt (1952); Delta Marshal Charles Pebley (1928); Delta County Deputy Willis Davis (1924); Mesa County Deputy Edward Innes (1906). Manspeaker, 25, was investigating the possible sighting of a murder suspect’s van when his patrol unit slid off an icy Interstate 70 and struck a flatbed tailer parked on the shoulder. The other deaths were homicides committed by criminal suspects; some of the cases involved significant injury to other officers, who survived. The list of fallen officers memorialized in Washington, D.C., grew by 394 names this past year, said Montrose County Commissioner Keith Caddy, a former police commander. “This living memorial will always grow because the war (on crime) is never over. It shouldn’t be this way,” Caddy said, asking the public to remember the sacrifice. He indicated the peace officers ringing the plaza. 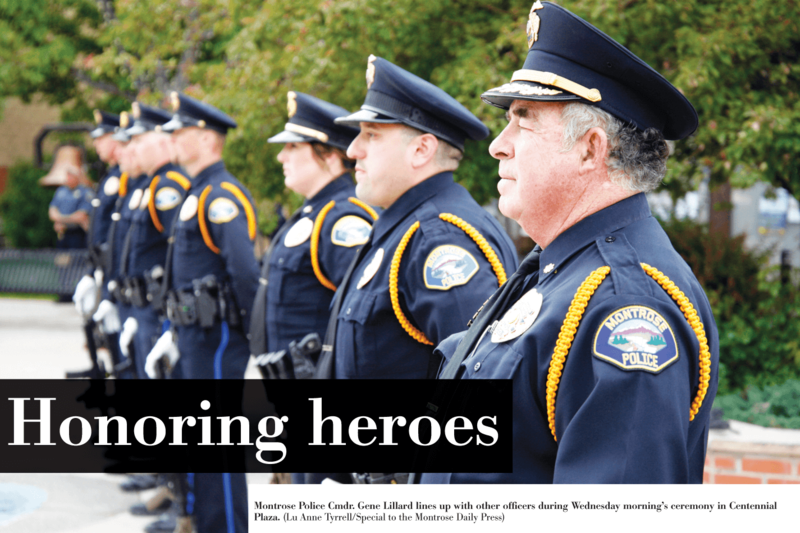 The thin blue line “is all around us,” Caddy said. Officers choose low pay, high risk, and criticism in order to serve. They have begun getting better treatment recently from the federal government, Caddy added. But Montrose seems to have the backs of those in blue: “The people of this community have always supported law enforcement,” Caddy said. “Law enforcement officers are challenged every day,” Montrose Police Chief Tom Chinn said. Since January, 51 officers nationwide have died in the line of duty — 10 percent more than the number of duty deaths by this time last year, he said. Chinn asked the community to encourage law enforcement members in their duties. Doing so doesn’t often take much more than a few seconds to say thanks, he said. “Honestly, it means a whole lot,” Chinn said.